Drawing of new Ohio class replacement submarine that would be paid for through a special fund. Washington – With the help of most, but not all of the Connecticut congressional delegation, the House on Thursday approved spending billions of dollars for submarines, helicopters and jets made by the state’s defense contractors. Himes also objected that the $600 billion bill prohibits the closing of Guantanamo, prohibits the Department of Defense from pursuing any action on climate change, and refuses to narrow an what he sees as an over-broad Authorization for Use of Military Force. “A Congress that has said no to unemployment insurance and investment in roadways and railways should not force unwanted and unneeded spending onto the Pentagon and taxpayers,” Himes said. Rep. Rosa DeLauro, D-3rd District, broke with a recent tradition of voting against defense bills by joining the majority in the 325-98 vote for the bill. Rosoboronexport has Department of Defense contracts to provide helicopters to the Afghan Armed Forces, contracts that Connecticut-based Sikorsky would like to have. The bill also includes a provision sponsored by Rep. John Larson, D-1st District, that would require TRICARE, the military healthcare program, to expand access to behavioral treatments for military families who have children with development disabilities. One child who would be helped is the 3-year-son of Army Sgt. Joe Kapacziewski, who was born in Connecticut but is stationed in Georgia. Kapacziewski’s son Cody has autism and has been prescribed 25 hours of therapy a week. But because of monetary caps on his TRICARE coverage, Cody is only receiving 12 hours of treatment a week. Cody’s mother, Kimberly Kapacziewski, is hoping the provision makes it into a final bill that will be negotiated with the Senate after that chamber approves a defense authorization bill. The bill also brings joy to the state’s defense contractors. It would authorize about $6 billion to build two new Virginia class submarines jointly built by Electric Boat in Groton and Newport News Shipbuilding in Virginia. 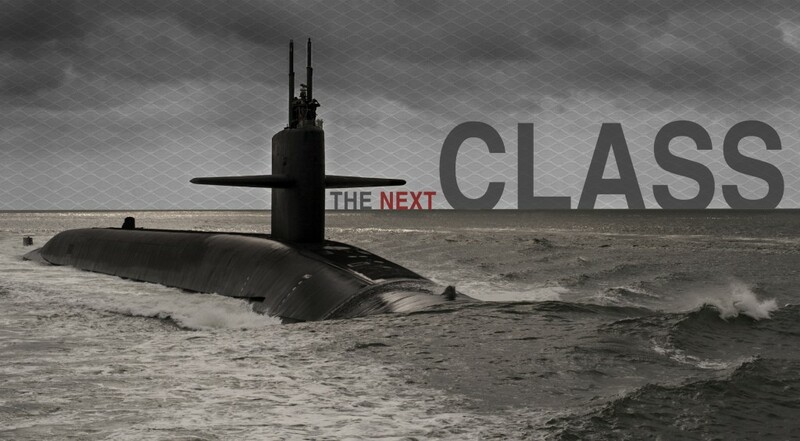 It also contains nearly $1.3 billion for a new class of submarines that will be the largest and most expensive in the U.S. military and that Electric Boat will help build. Thanks in part to Rep. Joe Courtney, D-2nd District, the bill would also set up a funding mechanism for this new class of submarines, now know and the Ohio-class replacement subs. These new subs will be the most expensive in the Navy’s fleet, costing about $5 billion apiece — which would sink the Navy’s budget. So Courtney, a member of the House Armed Services Committee, backed setting up a “National Sea-Based Deterrence Fund” that would pay for the Ohio replacement subs outside the Navy’s shipbuilding budget. “This bill is a strong example of our commitment to maintaining the best submarine fleet in the world, and a victory for Connecticut’s economy,” Courtney said in a statement. It’s not clear, however, that the idea of a National Sea-Based Deterrence Fund will survive in the Senate. The House bill also authorizes $6.5 billion for procurement and $1.6 billion for research and development of the F-35 Joint Strike Fighter, whose engines are produced by Pratt & Whitney in Connecticut. The House also approved more than $3 billion for the Pentagon to spend on Sikorsky helicopters, including $1.3 billion for 79 multiuse Black Hawks for the Army and the National Guard and $388 million to continue research and development of a new White House helicopter.